The foods of Yunnan Province, in southwestern China, are some of the most varied and delicious dishes in Asia. 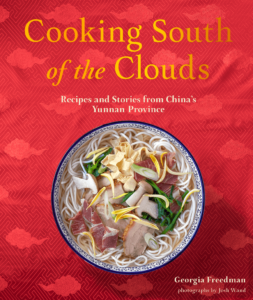 Join Georgia Freedman, author of the new cookbook Cooking South of the Clouds—Recipes and Stories from China's Yunnan Province (Kyle, 2018), for a hands-on introduction to the region. The class will start with a tea tasting, and participants will leave with some spice mixes and flavorings to take home. We will have copies of Georgia's books for sale onsite, thanks to our friends at Omnivore Books.